Yesterday, we asked our readers to help Clonmel Gardaí trace a 14-years-old missing Tipperary teenager named as Elisha Gault. Elisha has been missing since March 17th, having been last seen in Carrick-On-Suir, around 10.00pm on that night. Described as having blue eyes, dyed blonde hair; Elisha is approximately 5′ 10″ to 6′ in height. Gardaí are now asking that all householders, businesses and landowners in the Carrick-On-Suir area, to check their gardens, outhouses, sheds and other out offices. They request that any associates or friends of Elisha, that have not yet spoken to Gardaí, to immediately make contact with Clonmel Garda Station and or leave their details. Private houses in the vicinity of Carrickbeg/Dillon Bridge have been asked to check their CCTV, while motorists who travelled the area on the night of March 17th or 18th, are being asked to review their dash-cam footage and provide evidence of any possible “could be” sightings to Gardaí at Clonmel or Carrick-On-Suir. 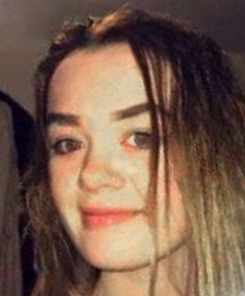 Elisha may possibly be aware that a search for her whereabouts is being carried out at this time, and is being asked to immediately contact family members or friends, confirming that she is safe and well. We repeat: Gardaí and her family are extremely concerned for Elisha’s whereabouts and are appealing to anyone who has seen her or can assist in locating her, to contact Clonmel Garda Station Tel: 052 6177640, the Garda Confidential Line at Tel: 1800 666 111, or indeed any Garda Station.